The above stanza from a John Keats poem could characterize the December New Brunswick suffered through. Canada and winter go hand in hand, and this year Eastern Canada in particular has had a full dose of winter already. But as the poem conveys, the weather will improve and we will continue. That applies to Geodex’s exploration programs as well. 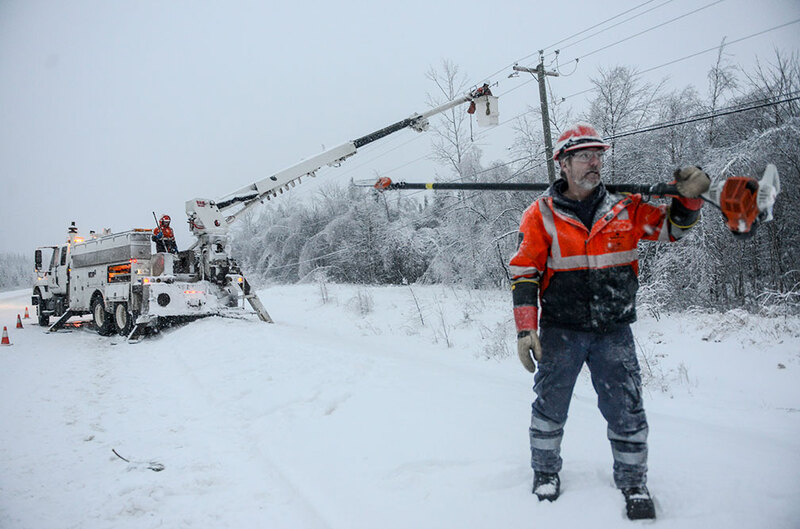 We were fortunate that the worst weather happened during a period when little work was planned. Our induced polarization (IP) survey at Benjamin has been delayed, however we expect to have it completed this week. We are still well positioned for our initial drill test, planned for late January-February, at the Benjamin copper-molybdenum project west of Bathurst. That being said, we will try and pick a good weather window for the drilling and hope that “drear-nighted” December’s weather will not continue! 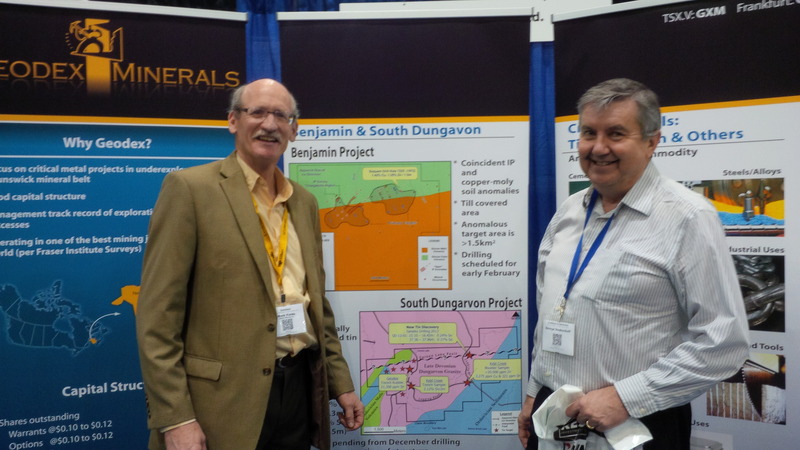 Geodex’s exploration strategy for some years has been focused on New Brunswick and the geologic potential it provides. 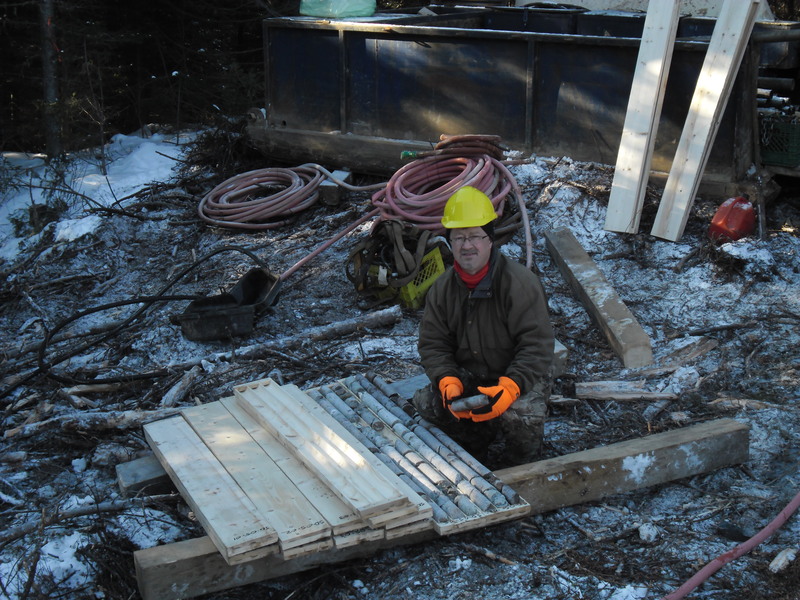 Tin is one of the metals that occur in New Brunswick and Geodex has explored for it at its Mt. Pleasant West project for example. Tin has also been the focus at our South Dungarvon project, which we staked a couple of years ago. We have had success advancing South Dungarvon through a combination of prospecting and soil sampling, followed by a small drill program this spring. We plan on doing another drill program there shortly (see our recent news releases for more detail) to follow up on the success we had in the spring drilling. I thought it would be useful to provide some background information on tin, which is seen as a commodity with global supply concerns. The use of tin has been traced back to the Bronze Age, so it was one of the earliest metals used by man to manufacture items. It is an important commodity today and is traded on the London Metals Exchange, the LME. The breakdown of current uses is described in the graph below. Currently production comes primarily from mines in China, Southeast Asia and South America. 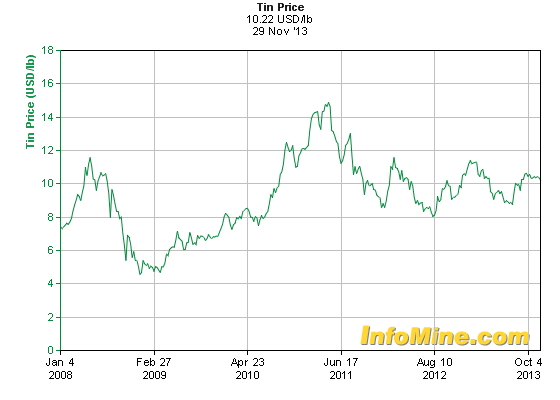 Tin prices have been reasonably stable compared to many metal prices. The exceptions have been in the 1970’s when inflation had a sharp impact on many commodities and also in 1985 when the then existing International Tin Council collapsed. Most of the trading today occurs on the LME and the prices, as per the graph below, have been demonstrating cycles that are not overly skewed to the high or low end. Current market watchers cite a concern of a tin supply deficit occurring over the next few years. This is based on steadily increasing demand coupled with limited mine expansion capability aggravated by decreases in Indonesian exports due to government legislation. As an explorationist, Geodex’s approach is always to look for the most attractive discovery opportunities. Simultaneously we need to be aware of the market conditions of the commodities we explore for as this impacts both investor and potential strategic partner interest. Based upon the current situation we believe South Dungarvon provides both good discovery potential and would also attract good attention from the tin industry. There has been an increasing awareness of the wide variety of new applications for previously little known metals are used for. Critical metals, the area on which Geodex has focused on in its exploration efforts, includes tungsten, tin and molybdenum for example. 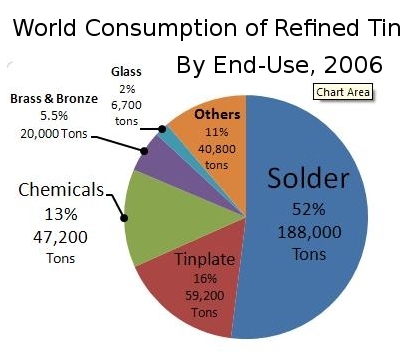 Each of these metals have some primary uses that most of the world production is directed towards. However each metal in the periodic table has some special feature that makes it a unique chemical element. And researchers use these special features to figure out how to best use each specific element. Here are some interesting potential uses for the above metals. They are not being used for this extensively for this today…but perhaps tomorrow? Below is an image at a microscopic level showing how the molybdenum powders (the material with the lacy appearance) is held together with a binder, in this case nickel and chromium (the solid spheres). It’s been some time since we’ve been able to do a blog posting. That is a reflection of the activity level within the company and public exploration companies overall. Typically activity picks up in the fall as exploration programs prior to winter are finalized and financing for them undertaken. Financing and work programs are closely linked of course. 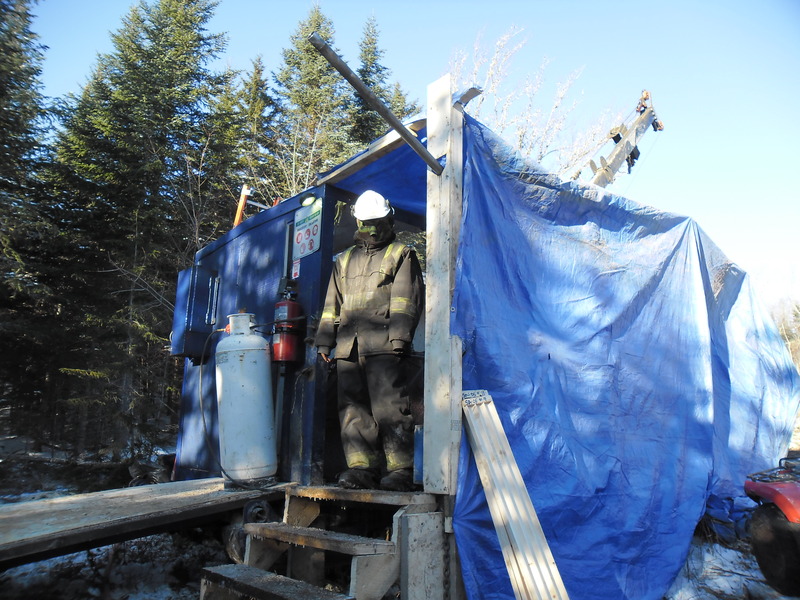 Work programs in New Brunswick can extend over most of the year, in fact all year if winter drilling is appropriate, however work programs need to be budgeted to fit Geodex’s treasury. After the lull that typifies the summer when many people take holidays, Geodex announced a financing to fund the proposed drill programs. Geodex is again enjoying the New Brunswick advantage to carry out pretty reasonable sized programs at a modest cost. We are planning some geophysics and other work followed by drilling up to 3 holes into the Benjamin porphyry copper-moly project and 2 holes into the South Dungarvon tin project. We are also considering drilling a third project. The projects have some common features as per earlier programs: drilling geochemical and geophysical targets under extensive glacial cover. Details on the projects can be found on our web site, www.geodexminerals.com and in our news releases. Below is a figure of the Benjamin copper-molybdenum project. There are several key features that combine in our view to warrant a drill program. The main area of focus is the left area outlined by a heavy back line. Within that area is a molybdenum-copper soil anomaly. Coincident with that is an induced polarization (IP) anomaly. One of the possible causes of an IP anomaly is minerals that form copper deposits. 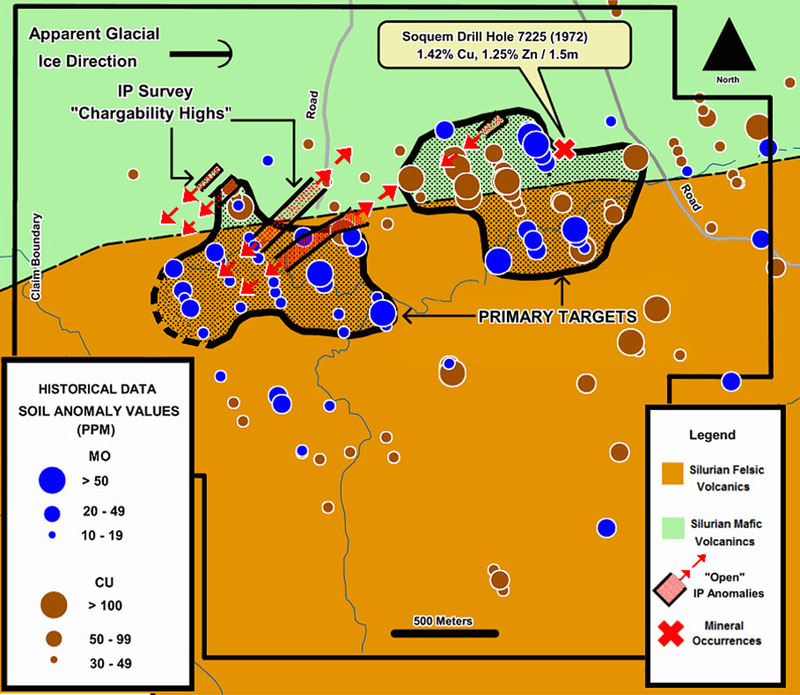 In addition to that the ice direction indicates that the soil anomalies would have been transported in a west to east direction. So with these main factors, combined with some interpreted geology, Geodex plans to extend the IP surveys to fully define the IP anomaly and then drill areas that appear to be the most prospective under the pervasive till cover. We believe the combination of geochemical, geophysical, geological and ice direction movements constrain the drill target well. The next step is to therefore drill test the targets. Drilling is where discoveries come from, so it is always an exciting time to have targets on the verge of being drilled. As I was enjoying a night out for a close girlfriend’s birthday this weekend, I was made aware yet again how many people are in the mining industry. This wasn’t the only time for me to meet and strike up a conversation with a total stranger just to find out that we work in the same industry. This gentleman I had met many, many years ago and completely forgot since it was a quick 5 minute greeting. The other most recent encounter was with a student at the same university I am attending. I am in Business School Part-Time and at night so I do not meet many other students in different programs, but I shared a study desk with a fellow student and needed an excuse to stop studying so we chatted about his high aspirations for a career in mining engineering. This gentleman had already worked at several properties and was very enthusiastic to get back out in the quiet, cold aired, remote areas. I myself am happy in our head office and couldn’t understand how he could not just be ok with these locations but be practically excited in being sent out again. I just couldn’t wrap my brain around it. It’s dirty, possibly too cold or too hot, you can’t just go home or meet your regular friends at a bar to catch the game (I guess you could do this with people you just met at whatever random town you are close to). This got me thinking, and today at work I felt like researching on how big the mining industry is in Canada. I found this website Explore for More (www.acareerinmining.ca ) which provided a lot of helpful information. 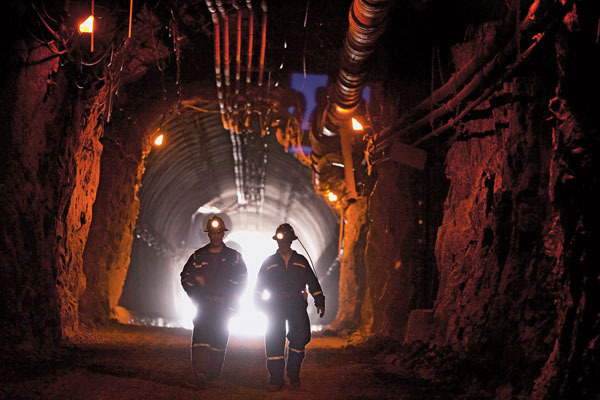 The website mentions there are “more than 800 mines across the country directly employing more than 363,000 workers”. Huh!! Makes you think. That many, I never would have thought. And that is just the directly employed people, there are probably just the same amount of indirectly employed people, like myself. 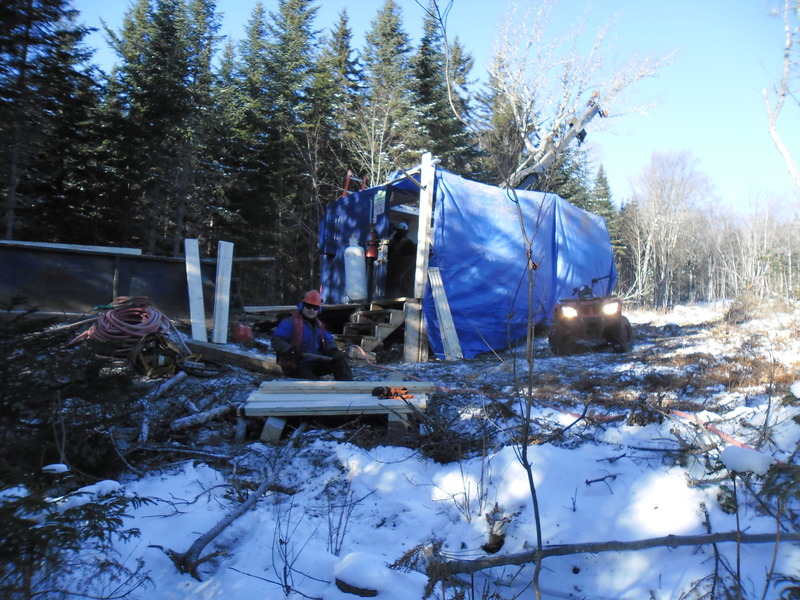 And of course there will be one more mine added hopefully starting construction next year at the Sisson Property in New Brunswick, which Geodex had a successful sale to Northcliff Resources. My favourite part of the website so far is the “Mining Myths and Realities” right at the top myth #1 “All mining operations take place underground, in dark, cramped spaces” exactly what I was thinking when I spoke with the fellow student. Just couldn’t imagine anyone being excited to work there, but as of the Explore for More website that working environment is not always the case. This is what I imagine working at a mine. Guess when you get older most of the teachings from your parents do not apply, and as I have found talking to strangers is actually quite fun and interesting and I highly recommend it.